Proficient in iOS application development, BigStep offers quality-rich iOS application development services for diverse type of Enterprises and Start-ups. iPhone and iPad Applications are scalable, robust and are comprising of multiple useful features as per the clients requirements. Our competent SWIFT developers team address all business requirements as per the specifications, budget and the given timeline. Our skilled and proficient in-house team of iOS developers design iPhone and iPad applications with clean code, strong architecture and scalable performance and a timely approval on App store. 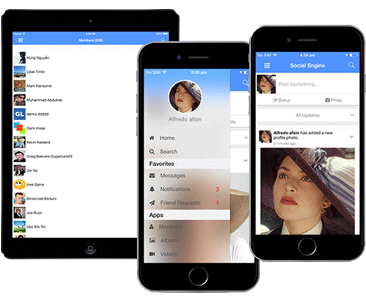 Would you like to get designed finest iPhone and iPad applications with desired functionality and enhance its visibility on app store? Our skilled and proficient in-house team of iOS developers design iPhone and iPad applications with clean code, strong architecture and scalable performance that guarantees one-shot approval on App store. Why choose BigStep iOS Development Services? Our expertise in Swift native development technologies and APIs and working-experience of serving diverse client-base enables us develop iPhone / iPad Applications that serve diverse business verticals. Well-tested and proven methodologies used to develop applications. Cost-effective mobile solutions that ensure highest return on investment. Instant connection with right expert team members. Proficient and dynamic experts build client-centric applications.